The Ultimate D.I.Y. Candy Buffet eBook! Interested in some DIY Candy Buffet creation? You are in the right place! The guide you've been waiting for is finally here! Now you can create professional candy buffets yourself! Wait, why are you sharing this information with us? After years of doing candy buffets, I realized that many people would just rather do it themselves. I STILL do candy buffets and always will, but now, I get to help DIYers too! We now offer supply rentals, you can order candy through us, and we sell DIY friendly packages. Is this really your best tips and tricks? After years behind the helm of Dulce Designs providing custom candy buffets to major companies, national attractions, premiere organizations and creative clients, I put together a true DIY Candy Buffet Bible. I share my best tips and tricks from years of doing this for myself and for others, professionally. This eBook covers anything and everything having to do with Candy Buffets…..and yes, you can do it yourself! Learn from me and you’ll end up with a better buffet from the way that it looks to the way that it tastes! To sweeten the deal use coupon 'almond' at checkout and get this eBook for only $4.99. But act quick because this great offer expires June 25th! Thank you all so much for participating in the Beauty Box giveaway on our Facebook page...the winner was Michelle Keller Asbrock! I wanted to end last week's beauty blue's posts with some of my favorite must have items. Counting down the days until spring! Here is the much anticipated part 2 of the skin care blog post, (part 1 can be found here and has been a huge hit with our readers) the night time routine. This is where I have to admit I get the most lazy about my beauty routine, often times climbing into bed with all my make-up still on. I am vowing after I have read these fabulous posts to now attempt to follow the skin care steps as closely as possible...at least for half of the week anyway! Now moving on to our evening routine: cleanse, optional exfoliation, tone, treat, moisturize. 1) Cleanse. Same as the morning routine. Use your preferred cleanser with a washcloth or brush. I also recommend using an exfoliant sparingly after cleansing. Over-exfoliation can cause damage to your skin. As long as you are using a washcloth or cleansing brush you are getting enough abrasion so that you only have to exfoliate once a week, or every other week. 2) Exfoliation. This occurs after you cleanse and before you tone. You can choose between an abrasive or a chemical exfoliant. Beware if you use a chemical exfoliant that it is not too strong for your skin! You can do this by performing a patch test first. If you prefer to leave it to the professionals, my favorite treatment is dermaplaning and a light peel. Dermaplaning is where a professional uses a razor to shave off dead skin and hair. This may sounds harsh but it is very relaxing and does not hurt. It just feels like a finger running over your face. Your hair does not grow back thicker, in fact, I don’t even notice when my hair grows back. The dermaplaning is to remove some surface dead skin and to allow the peel to be more effective. I choose a light peel because my skin does not need anything harsh at the moment and due to the fact that stronger peels cause flaking. The stronger peels are more effective, however unless you really need it, stick to the lighter peels as a substitute for a good exfoliation. Stay away from microdermabrasion! The suction that is used during this treatment can cause broken capillaries and damage your skin. An at-home microderm is just a glorified exfoliator (without the machine) so that would be used as an abrasive exfoliant which is ok.
3) Tone. Same as in the morning, nothing fancy here. 4) Treatment Serum. Treatment serum is where you can tailor your routine to what you want to achieve. Fight against wrinkles? Retinol or Retin-A. For Retin-A or stronger a stronger formula of Retinol you will have to purchase it from a medispa or doctor; however, it can be very irritating to your skin. You may want to start off with a lower amount that would be sold over-the-counter. Retinol/Retin-A has many benefits for the skin and is the best product to use for preventative and reversing the signs of aging. There are many products out there with big claims, but this (and Botox if you are up for that) is the only way to really fight the war against wrinkles. The war against wrinkles can only be won if you are also using an SPF to prevent further damage! Also, your skin can get very delicate with Retinol/Retin-A, so DO NOT go to the tanning bed if you are using either of these. You should not be tanning anyway because of the insane damage it does to your skin (discoloration/hyperpigmentation, wrinkles, breaking down collagen, CANCER, etc). If hyperpigmentation (also known as sun spots) is your nemesis you can use hydroquinone. IPL treatments work great for discoloration, but they tend to be very expensive. I have found that if you do not keep up on the treatment then the spots come back. If you don’t need either of the above two, you can insert another antioxidant serum for a preventative. As stated before, Vitamin C is amazing and you can always use it at night as well! 5) Moisturize. Since this is for your night routine you do not need SPF. Due to my dry skin, I prefer a heavy cream such as La Mer (which I use very sparingly as it goes a long way) or Kiehl’s Smoothing Nourishing Face Crème. Those of us who have dry skin, we have an even harder time with wrinkles because our face does not have the natural moisture of those with oily or combination. Therefore, I recommend using a heavy moisturizer if you have dry skin. Also, drink a lot of water (I bet you haven’t heard that before)! For me, I can only drink so much water in one day. It doesn’t matter if I drink 10 gallons, I will always have dry skin. Another moisturizer I like is olive oil. It absorbs fairly quickly and even heals dry patches and rashes, in my experience. For oily or sensitive skin, just use a light moisturizer. Do not skip the moisturizer because you think your skin doesn’t need it! Your skin will compensate for being dry and create more oil which in turn, causes more acne. You need to keep your skin balanced! Also, for sensitive skin you need to keep it moisturized or it can become even more irritated. I have learned what is stated above from my personal experiences, dermatologists, plastic surgeons, and from reading others’ experiences. No one has the same skin type, even if we categorize them into “dry, oily, combination, or sensitive”. Skin type is just where you start. That is why there are TWO rules: 1) What is your skin type and 2) Which products YOU prefer that work best. • Cleansing efficiently with a washcloth or brush (i.e. Clarisonic or similar) • Occasionally exfoliating • Using an antioxidant serum and SPF during the day • Using a good moisturizer • For wrinkles, using a Retinol or Retin-A. I hope you can take this, apply it (or even part of it), save some money, and that it helps get you the results you are looking for! A huge thank you to my dear friend Megan for helping us obtain the knowledge needed for better skin care. Feel free to comment below with skin care or beauty related questions for Megan and she will get back to you. Meet Megan. She and I have been good friends since the second grade back when we wore Looney Tunes sweat shirts, press on nails (she really did at 7 years old!) and high heeled boots. Yes, we were total divas back then...at least we thought we were! Megan has always been up on the latest fashions, makeup and skin care products. I remember in college all of our sorority sisters would ask her to do their make-up for a night out and she would gladly do it, even if that meant she was barely ready herself and only had minutes to do her own make-up. For my wedding I could not imagine anyone else doing my makeup...she is truly fantastic at anything beauty and fashion related. So, when I decided to do a week on skin care and DIY/at home beauty tips the first person I contacted to guest blog was Megan. She is a true beauty inside and out and I am blessed to call her my friend! I was previously employed as an Esthetician and have obsessed over skincare and beauty products since I could crawl. I was that salon professional who recommended products to people because it is what I sold. I was that person who spent $250 on a new serum because, “it’s worth it” (eeeh maybe NOT). I am here to give you my insight on what I have learned over the years. I hope you will learn from my mistakes and save your money by not feeding into all of the hype. Hopefully this will break down what is important in skincare, and what is not. · For wrinkles, using a Retinol or Retin-A. Tretinoin is the generic form of Retin-A. Many of us are overwhelmed when it comes to picking the right skincare products. The more money I spend, the better it works? If a salon professional recommends it, is it exactly what I need? If I buy it in a department or specialty store, is it better quality? If a magazine recommends it, does it work? The answers to these questions are NO! The two main rules of choosing products are 1) What is your skin type and 2) Which products YOU prefer that work best. The most effective way to achieve phenomenal skin is to have a consistent at-home routine, twice a day, every day. When you wake up in the morning and are getting ready for the day, make time for your skin! If you have to set your alarm 5 minutes early then please, I am telling you, it is worth it. So here is an example of a morning skin routine: cleanse, tone, prevent, and moisturize. 1) Cleanse. Depending on your skin type, you can use a gel or a cream cleanser. Even though I have dry skin, I prefer a gel cleanser because of the foam and I like the “tightness” I feel when it is dry. Normally, if you have sensitive or dry skin you would want to use a cream cleanser. Rule # 2 in action; use the products that YOU prefer. Remember, a cleanser is just a cleanser. There is no need to spend a lot of money on something that is getting washed down the sink. Cetaphil is sold at any drugstore or supermarket, is very reasonable, and will last forever! Cetaphil is good for all skin types and comes in a gel or a cream cleanser. I currently use Obagi and I like it, but I also enjoy trying new products. So after this bottle I will move on to something else (more likely less expensive). If you are prone to acne (I know this sounds cliché) but Proactive works wonders. If it irritates your skin, you can use extra moisturizer (step 4) to calm down the redness. The main reason I like Proactive is because of the tiny beads it uses for exfoliation. It also contains benzoyl peroxide which kills bacteria. So the combination of the beads and benzoyl really clear and prevent those dreaded blackheads! 2) Tone. A lot of people skip toning because they think it is a waste of time. Toning not only removes any residue left over from cleansing, but it also restores your skin to the proper pH balance. Restoring your skin to the proper pH allows the following products to be more effective. Again, no need to spend a lot of money on a toner. Just beware that you don’t use alcohol (HORRIBLE for your skin) or salicylic acid unless you have very oily, acne prone skin. 3) Prevent. This is where you use a vitamin C antioxidant serum to prevent cellular damage from free radicals. Vitamin C also helps your skin repair itself and aids in the production of collagen (collagen is what keeps your skin plump and provides support). I use SkinCeuticals C E Ferulic, however there are many products sold at your local drugstore or higher end stores like Sephora that are less expensive and just as effective. 4) Moisturize. Since this is a morning routine, you will need a moisturizer that has SPF. The minimum I would recommend is SPF 15; however I use SPF 30 by SkinCeuticals. If you have oily skin you would want a lighter SPF than the SkinCeuticals, as it is very heavy and works well for those with dry skin like myself. While this might seem complicated, it all takes about 3-5 minutes. Be sure to check back later this week for part 2, the night time routine! They recently just announced the Pantone color of the year for 2013 and it is emerald green! To be honest I am not usually a green person but I love this rich, deep shade of green. One of my favorite colored candy buffets to do is one with green candy...it just photographs so well and there are great flavor options. Emeralds occur in hues ranging from yellow-green to blue-green, with the primary hue necessarily being green. Yellow and blue are the normal secondary hues found in emeralds. That could be why such a wonderful color combo for a candy/dessert buffet is green and blue. A couple of seasons ago we did this exact combo and the results were beautiful and yummy!! 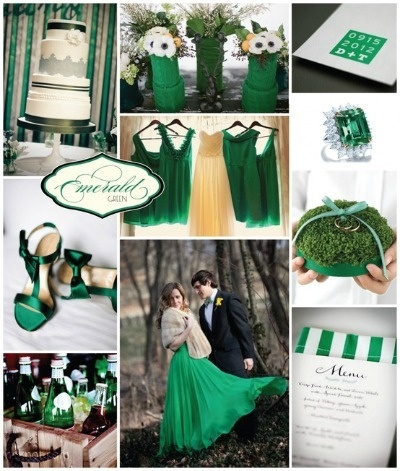 Check out the photos below for some emerald green inspiration! Happy New Year, I hope everyone had a great holiday!! We are just coming back from a long holiday break full of great food, family and friends. What a great time we had this year with our little man!! But, we are so excited to be returning to work with lots of fresh ideas and projects. 2013 is going to be a great year! I wanted to post some last few things for my Blog readers from DIY December that were a huge hit on my Facebook page. ﻿If you need to be organized like me then this printable menu planner and shopping list will be a lifesaver for you! Just click on the below image to be taken to the printable. The perfect DIY gift for the bacon lover in your life, bacon jam!! This even includes the adorable labels for the jars. For those of you that follow me on Facebook you have already seen some of these amazing DIY holiday ideas, but for everyone else be prepared to get inspired and crafty!! This week I am going to highlight some of the free printables I found. These are so cute and can really add to any holiday event or party that you may be having. If you read last week's blog post you will see a holiday printable that has a chalkboard look to it, I also found another one that would match perfectly. Just click the below photo to be taken to the link, print, add a frame and gift them or add them to a dessert table for some added pizazz. I have always loved to wrap gifts, so when I saw these gift tags I was super excited and made sure to buy wrapping paper to match. Click on the below picture to print these great gift tag labels. So many different options to choose from! How cute is this hot cocoa bar? I am hosting my annual cookie exchange this coming week and am going to be doing something very similar to this and making sure to use these labels. Click on the below photo to be taken to the printable links. Happy Hosting!! This whole month we are dedicating our blog, Facebook posts and twitter to DIY projects for the holiday season! These projects will be all holiday or gift related and will come in the form of recipes, home decor, party printables etc... I have found so many great things to share with you all that could potentially cut your buying and spending in half for the holiday season, how great is that?! These are seriously some great ideas and almost all of them are super easy to do. I will also be trying some of them along with you all and I cannot wait to start crafting and try some of these fabulous DIY tips. So to start the month off, I found this super cute FREE printable (courtesy of akadesign.ca) so all you have to do is print from your home computer and add a frame. This would go great as additional holiday decor for your house, as a hostess gift or a gift for a friend or that hard to buy family member. I printed this off at home and am very impressed with the quality of it. It has that chalkboard vintage look that is so popular right now! Just click on the image to be taken to the printable once there click on the image to get to the PDF, then right click to save and then print on a piece of quality linen white paper (I used just regular computer paper that I already had and it turned out perfectly). It should be about 8×10, if you trim the edges. Make sure to check our Facebook page and twitter for more daily DIY projects! Not all candy buffets need to be super elaborate, sometimes less is more and just as fun!! Smaller candy buffets are perfect for birthday parties or other events with 50 or less guests. It also makes great home decor like the below photos for Halloween!! One of my favorite wedding websites, Weddingchicks.com, features a DIY/printables section with very cute and trendy wedding templates. This is a great way to get those personal touches throughout your event that really make your wedding pop! One of my favorites is the template for labels on the candy bar (which I consider a must on candy buffets). Usually you will see free, printable labels and they are somewhat generic in their looks, but these are very cute with a slight vintage feel. These particular candy bar labels can be customized with different wording as well as the colors can be changed to match your event/wedding...perfect if you are planning to do your own candy buffet. Click on the below photo to be directed to the website so you can begin designing your candy buffet labels today! If there was one thing I would have added to my wedding it would have been the sparkler send off. I love this idea and think it makes great photos! I am a big believer in the bride and groom leaving the event first and then the guests follow afterwards. Having a sparkler send off is the perfect way for your guests to bid you farewell! This is best done at night...your wedding coordinator should have your guests form two lines so you guys can walk through. You want to make sure you purchase the correct sparklers, I have heard to use 36 inch sparklers since they are longer you avoid burning your fingers. Remember to hold them away from your clothes! I suggest making sure your venue is ok with the use of sparklers and have a pail ready to discard the sticks in afterwards. Lastly, I suggest making sure your photographer has experience with taking photos of sparkler send offs. Here are some photos I found with awesome sparkler send off ideas! For my wedding I did not wear a veil, it was an outside ceremony so I opted for just a simple white flower. But, had I known about the cuteness of the birdcage veils at that time I would have definitely worn one! I just adore the sophisticated vintage look of them and I think they provide a uniqueness to your wedding attire that is not seen everywhere. Check out this tutorial from Weddingchicks.com on how to create your own birdcage veil! Not such a crafty bride?! That's okay you can order your birdcage veil already complete, check out this adorable one from Etsy.com. Hello All! So sorry about the lack of blogging last week, I was on vacation to Mexico and playing catch up after a vacation is not fun. But on a side note, Mexico was awesome and a very much needed summer vacation. My husband and I love to travel and try to get away (even for just a weekend) about every other month if possible! Our next destination is to Chicago, one of my favorite cities, for the Dave Matthews Band concert which actually falls on my husbands birthday weekend. He is a HUGE DMB fan...I on the other hand am embarrassed to admit am not a fan. I know...crazy right?! I just cannot get into their music, but I am being a good wife and going...plus I think I can get a little shopping out of the deal! Not so bad. I really have been wanting to blog a bit about guest book alternatives. I love giving brides ideas to make their wedding unique but not super expensive and a great way to do this is with your guest book. I have pulled a few photos from the fabulous Knot.com to share with you and give you inspiration...feel free to email me your ideas too and I can share them on my blog for others to see. Guest book table: For a unique twist on the guest book, the couple had guests sign squares of fabric the bride had collected from her time studying abroad. The bride is embroidering over the handwritten messages and plans to sew the fabric into a quilt. Typewriter guest book: Guests typed notes for the couple on a cool blue vintage typewriter. Modern guest book: For the guest book, friends and family offered their wedding advice to the couple or gave fun date night suggestions. I know that candy is all the rage at weddings right now (thank goodness for me and my candy buffet company) but, cookie buffets are also a unique favor idea for any wedding/event! You can do a combination of the bride and groom's favorites to make it more personalized on the wedding day. Another great idea is to add assorted cookies to a candy buffet to make more of a dessert bar! We at Dulce Designs partner with many great local bakers and would love to design a dessert bar for your next event! Contact us today for more details... info@dulcedesignscandy.com! Any centerpiece that the guests can eat are great conversation starters...I especially like the cupcake ones above! Also, remember that Dulce Designs now creates candy centerpieces for weddings or events...contact us today for more information! So this is another Cincinnati related post, but I had to share the wonderful experience I had at the Kenwood Theatre this past Saturday night! From the minute we walked in I knew this was going to be a different movie experience. It was super crowded, but then again it was a Saturday night...lots of teenagers on dates! Everything was very clean and the staff kept things running smoothly. After standing in line for only seconds to purchase our tickets we then went to the concession stand to load up on movie treats! I was well prepared to order my usual sour patch kids and a diet coke when I saw the dessert area they had. I was like a kid in a candy store...there were so many different options, all courtesy of Frieda's Desserts in Maderia. From mini carrot cakes to iced sugar cookies and to top it all off you can order wine and beer...I was SOLD! I knew right at that second that I would never visit another movie theater in the Cincinnati area. They also have sushi from Ember's, maccroons, cappuchino's and then the regular candy/snack options that every movie theater has. This theater is top notch and I am so glad to have it so close to my house so I can visit it more often! Check out their website for more information and to see how you can have a birthday party there (great idea for the kiddos) or look up Tueaday night discounted prices! In most cases (but not all) alot of the wedding planning is done by the bride...so her style really comes out in the event. With a His and Hers candy buffet it is a great way to show a little style and personality of both the bride and groom. There are many themes to choose from when deciding how to decorate your candy buffet: colorized, winter wonderland, beach/tropical, simple and chic...one new popular trend is a His and Hers! I am seeing this more and more with the wedding I have done. This is a great way to combine both the brides and grooms favorite candies into one display. Add a few fun photos or engagement shots with personalized candy bags and VIOLA, a perfect His and Hers candy buffet that all your guests will enjoy. You can add labels to each candy jar saying his or hers at the top depending on who's favorite it is, the name of the candy and a memory/reason for the candy being their favorite. This really lets your guests feel connected to you on your special day as they are enjoying their sweet treat! Dulce Designs would be happy to work with you on creating your special His and Hers candy buffet, contact us for more information/questions. While browsing for recipes online today I came across these two great fudge recipes and guess what?!?! You make them using CANDY :) Not to mention they look super easy to make! Line a 9-in. square pan with foil. Grease the foil with 1 teaspoon butter; set aside. In a heavy saucepan, melt the Tootsie Rolls, peanut butter and remaining butter over low heat, stirring constantly. Gradually stir in the confectioners' sugar, milk and vanilla (mixture will be very thick). Fold in pecans. Spread into prepared pan. Using a sharp knife, score the surface into 1-in. squares. Press a M&M's candy into the center of each square. Cool. Using foil, remove fudge from pan; cut into squares. Store in an airtight container. Yield: about 2 pounds. Line a 9-in. square pan with foil; set aside. In a heavy saucepan, combine the candy coating, milk and salt. Cook and stir over low heat until chips are melted. Remove from the heat; stir in vanilla and gumdrops. Spread into prepared pan. Cover and refrigerate until firm. Using foil, remove fudge from the pan; cut into 1-in. squares. Store at room temperature. Yield: about 3 pounds. Themed candy buffets are great, my favorite is a candy buffet with specific colored candies to match the event! Colorized candy buffets are a unique way to combine your colors/theme to your event, making it perfect for tying everything together. It is also very eye catching to see a candy buffet with different candies in all of your wedding colors. You can get almost ANY candy in the colors of your choice...with a little research anything is possible! Are you thinking of doing a candy buffet and need help finding candy in a specific color? Feel free to contact me for tips and advice. Even if Dulce Designs is not doing your candy buffet I would love to give you free advice on places to look for a great deal. Angela Jolley is a business owner, a wife and a mother of two sweet boys! She has extensive knowledge of candy, DIY and event design. Angela is the owner of Dulce Designs Candy.